Afrobella highlighted the Trinidad brand in her international beauty series, which celebrates and tells the stories of naturals from countries around the world. In her review of Happy Curls, Happy Girls, Afrobella states, “these natural handmade hair products are definitely making my hair happy”. She also mentioned her personal favourites, “the Coconut Milk deep conditioner and bomb moisturizing shampoo, ACV Hair Spritz and super cute wired headbands”. Trinidadian-born writer Patrice Grell Yursik the creator of Afrobella.com was listed as one of Ebony Magazine’s Power 100, and has won more than ten online awards, including induction to the Black Webdog Awards’ Hall of Fame. She was also named one of WWD’s 50 Most Influential in the Multicultural Beauty Market. 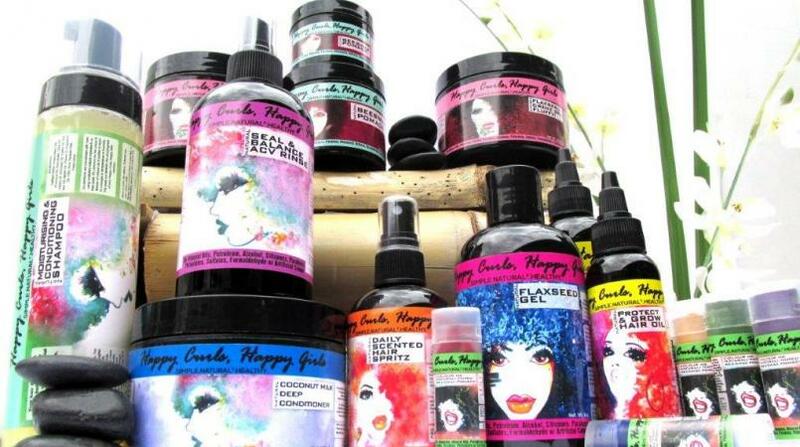 Happy Curls, Happy Girls is a natural hand mixed hair care line of natural products created for all textures of hair and formulated for the Caribbean. The brand’s philosophy is to keep haircare simple, natural &, healthy. Being the first artisan, hand-mixed line brand to be sold at Pennywise Cosmetics, the brand has also received scores of positive reviews from local and regional customers.